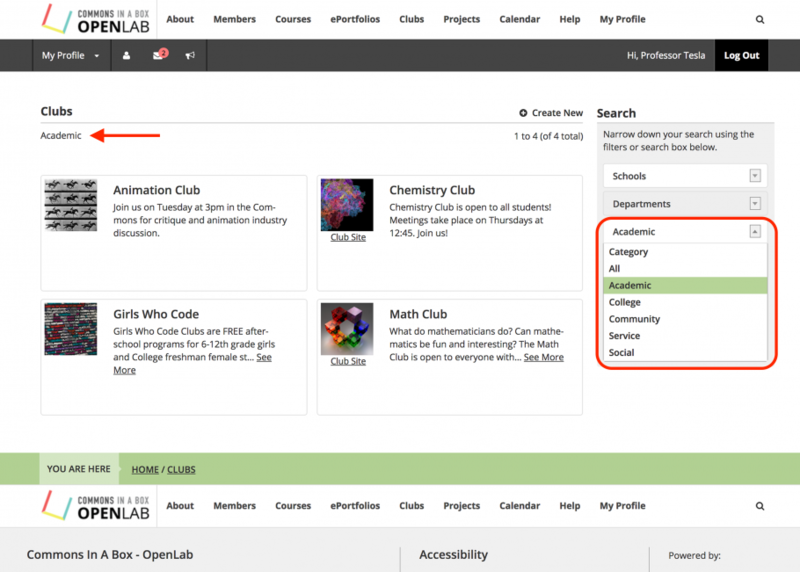 CBOX OpenLab admins can create and assign categories to projects, clubs, and other groups (e.g. “community,” “academic,” “student,” etc). Group categories make it easier to organize and discover groups. 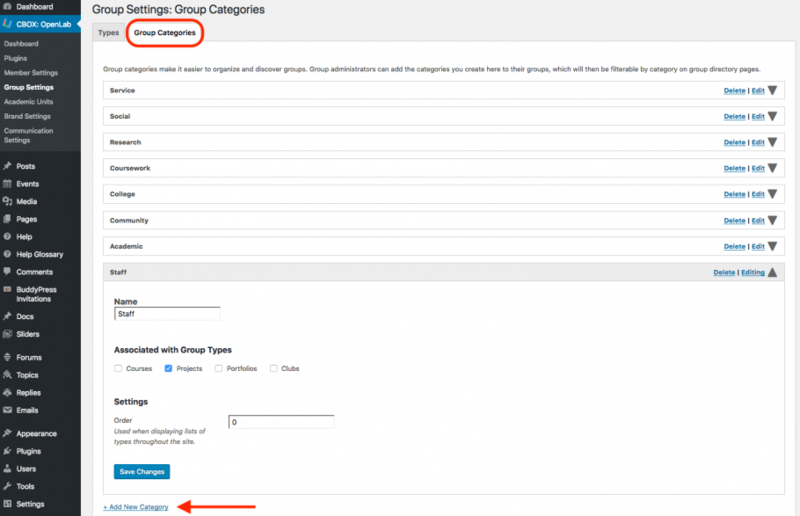 Group administrators can add the categories that you create here to their groups, which can then be used to filter search results on group directory pages. Default categories are included for Projects and Clubs, but these can be edited or deleted, and new categories can be added. 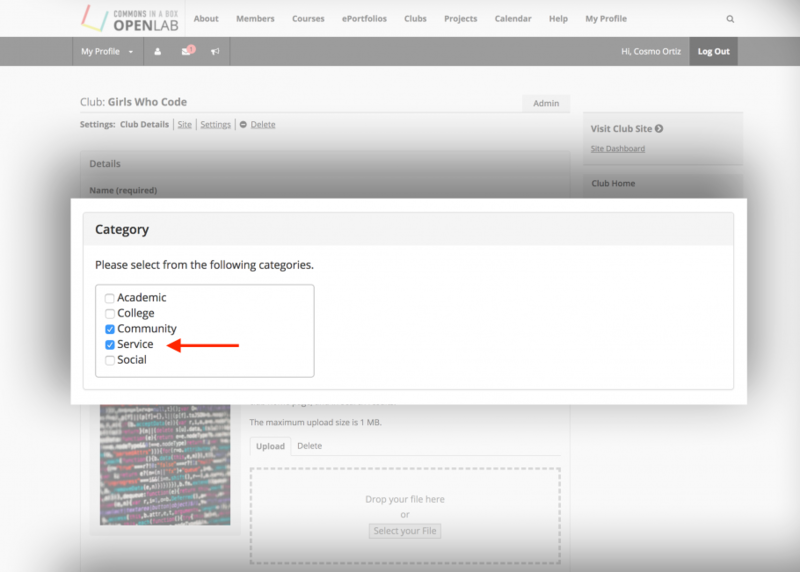 No default categories are applied to Courses and Portfolios, but they can always be added. In the example below, the “Service” category is associated with Clubs and Projects. When new Clubs or Projects are created, or group admins are editing settings of existing groups, the category “Service” will appear as an option to add to the group, if applicable. To add a new category, or to edit categories, go to the Group Categories tab. To add a new category, click the Add New Category link, and choose the group type to which it should apply, and the order that it will appear in group directory dropdowns, or when choosing the category from a list of all available categories. When finished, click Save Changes.